Working at Longleat was an absolute JOY! 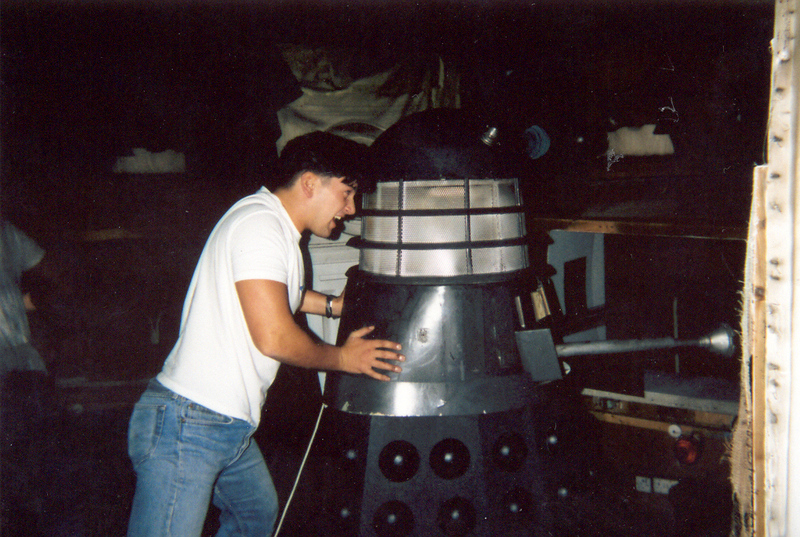 Lorne Martin used my Dalek often for promotions! 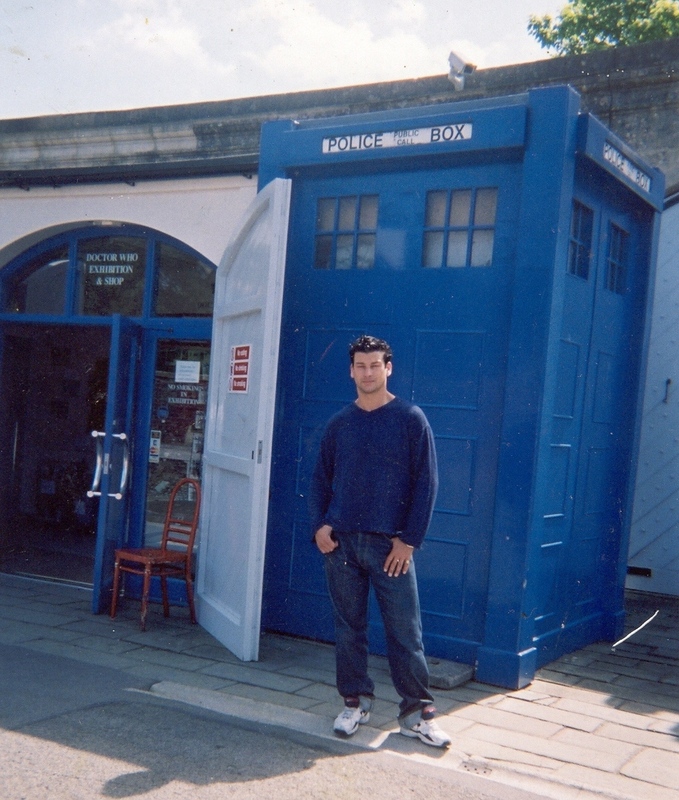 This one was taken into the grounds to publicise the upcoming Doctor Who Day ! 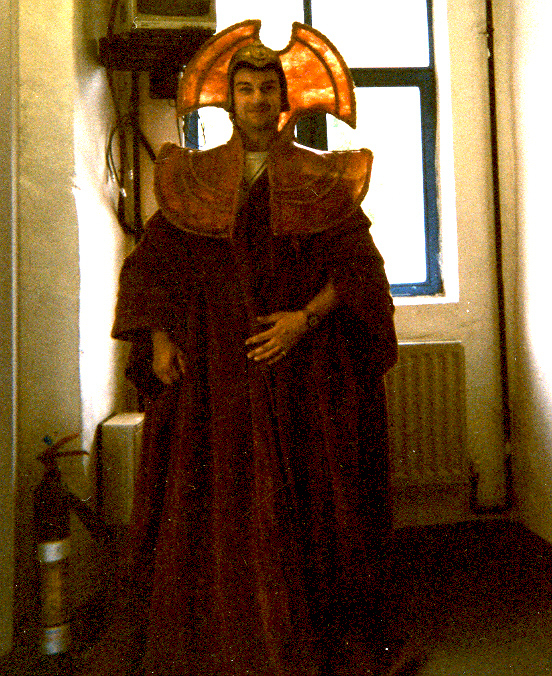 It was while I was training at The Bristol Old Vic that I met Tim Bentley and he asked me if I would be interested in coming to Longleat every weekend and through out the Summer Holidays to help entertain the visitors. When he said that part of this would involve dressing up as DR WHO characters an parading around the exhibition and grounds as a Cyber man or Time Lord, I instantly agreed. It wasn't a very important job, I wasn't in charge of the shop or the exhibition, but I was allowed free entry to the Estate from then on, and was welcome to enter the exhibition any time I liked. I got on very well with the staff, there was a lovely chap called Graham Eggleton, who always had a smile on his face and Tim Bentley made me laugh because he couldn't even manage to tame his hair, yet there he was doing an admirable job managing ALL the attractions at Longleat! I particularly enjoyed cleaning and dusting the exhibition first thing every Saturday morning. 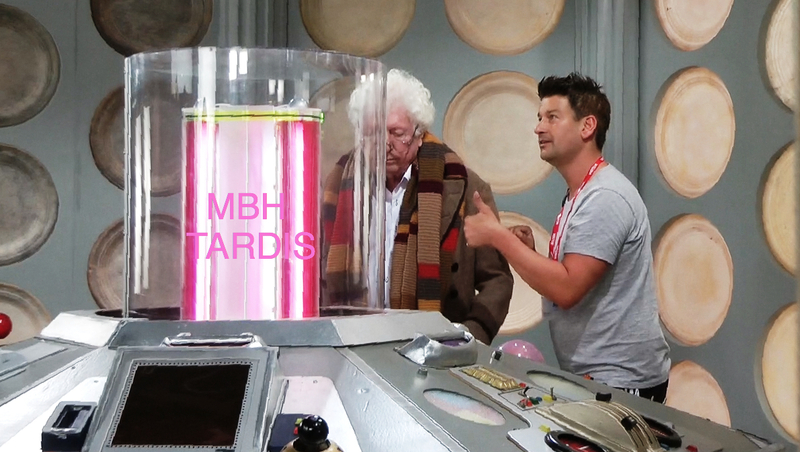 I couldn't believe that I was in The Tardis with a dusting cloth and spray, cleaning the console, the Dalek and endless glass screens, but it was a joy. 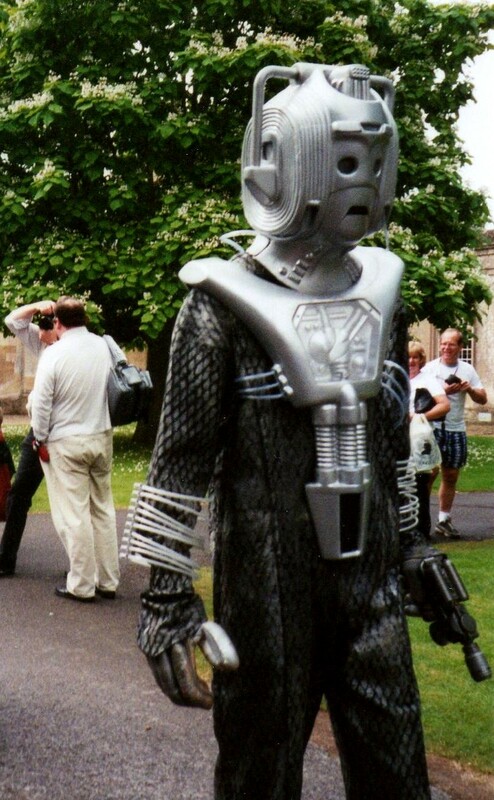 I found it particularly hard work being a Cyberman as the heat in that costume got worse and worse the hotter the summer became, but still I loved it. Predictably, I used to stand stock still and people would walk past me, and they would say to each other," is it a dummy or is there somebody in there...?" and just when they least expected it, usually after someone had stood right infront of me for a photo, I would suddenly jolt into action and scare the hell out of them! ah... good times. I also once ventured a long way away - to Longleat house itself and posed for pictures in the main hall. 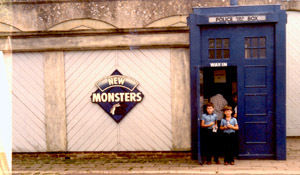 Suddenly I was shouted at by a very angy Ken Windess (head warden), who thought I was disrespectful turning up from The Dr Who exhibition dressed up like that in the house - which was HIS patch! 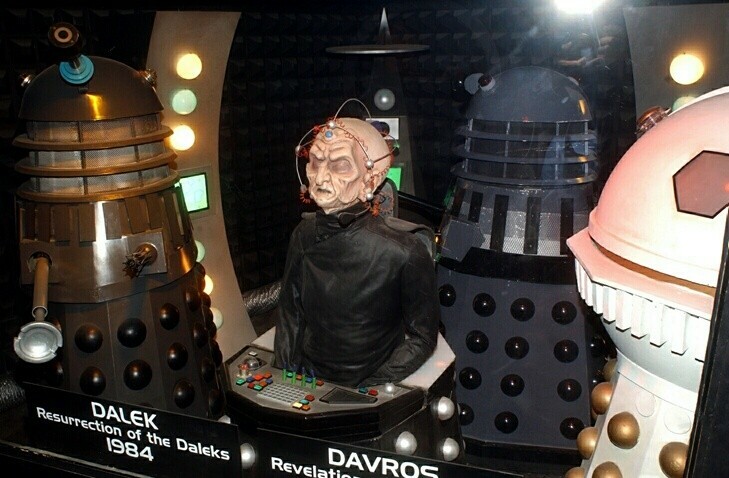 -it just goes to show that the DR WHO exhibition seemed trivial and silly to some old school Longleat employees. 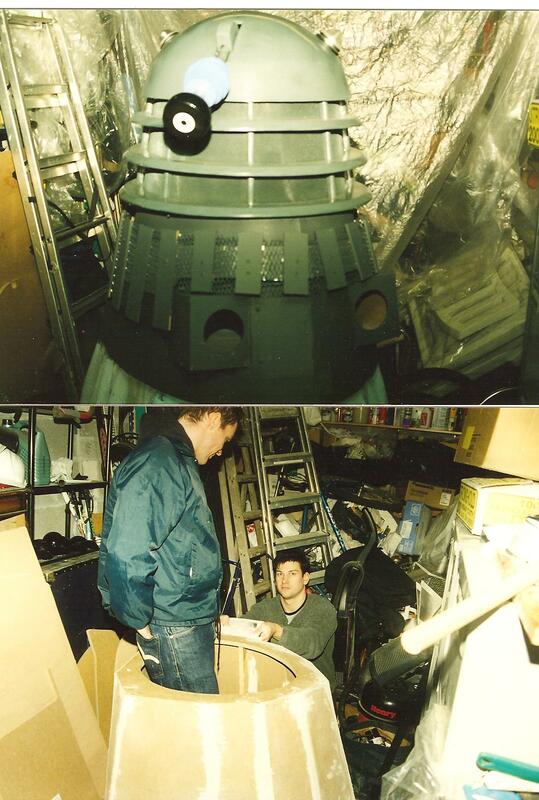 I once thought how much better it would be to go around in The Dalek, but as the only existing one was NOT a working prop but a static thing filled with electronics, I thought I would have a go and build one myself. 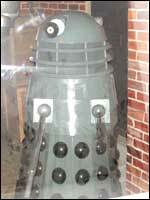 I thought that the hardest bit to make would be the dome -with all the neck rings and stuff, so I took measurements from the exhibition Dalek and got to work and 'DALI' was born. He went into the exhibition behind glass when I was not there or when he was not in use and for many years he stayed in Longleat - right upto 2003. 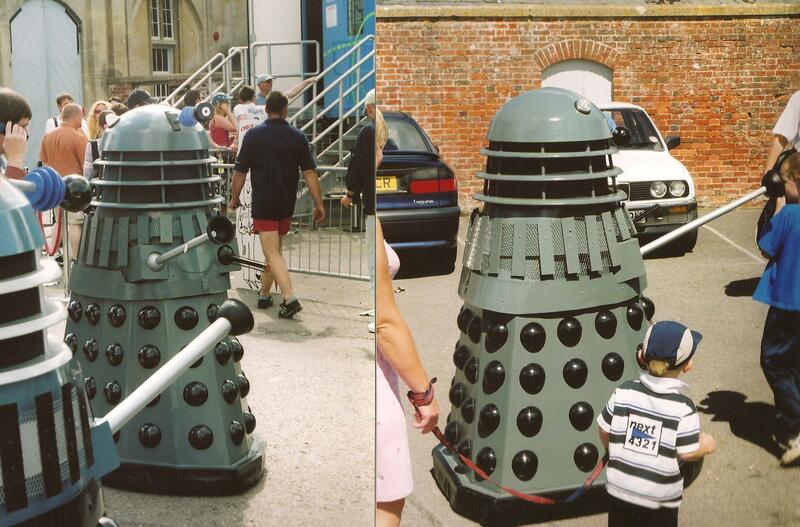 The DR WHO days every August needed press coverage so My Dalek was often rolled out to various locations to advertise the up coming events. 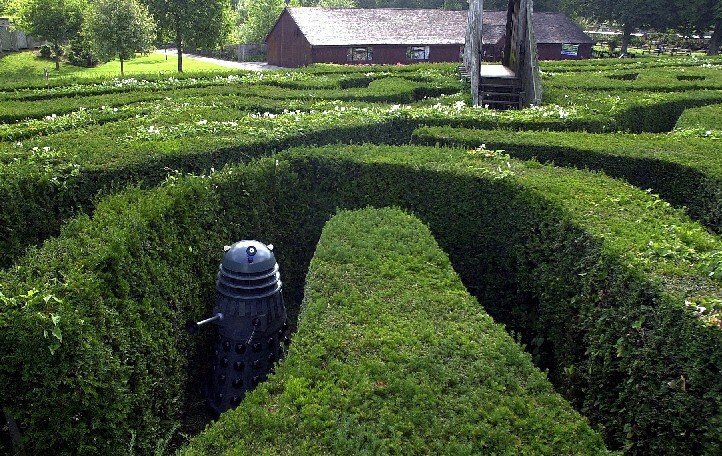 One year Lorne suggested that we take it into the maze, and we took it deep inside and had a hell of a job getting it through the hedges and back out again. I realise that I was enjoying the job so much because I was reliving my childhood fantasy -acting out what I experienced as a child in 1983 all over again and to some extent I guess I am NOW as I slowly construct this site and remember it all.